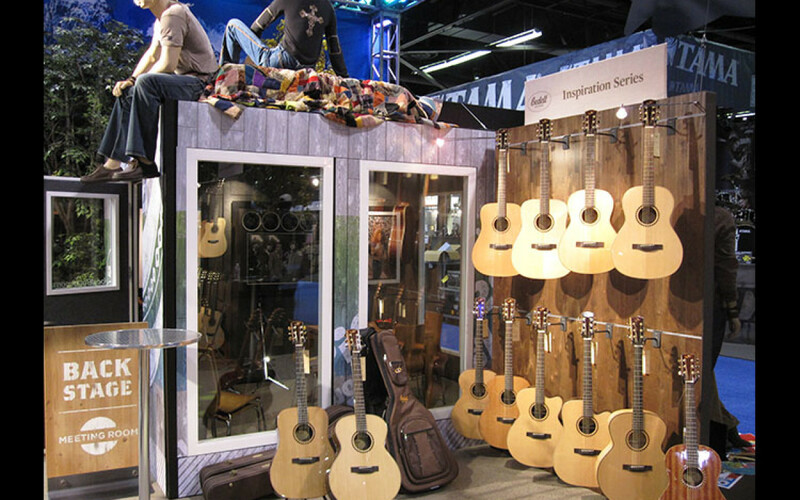 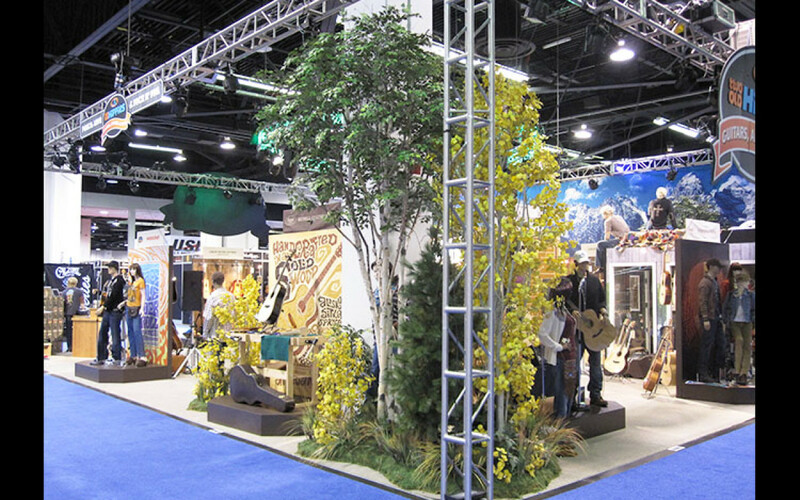 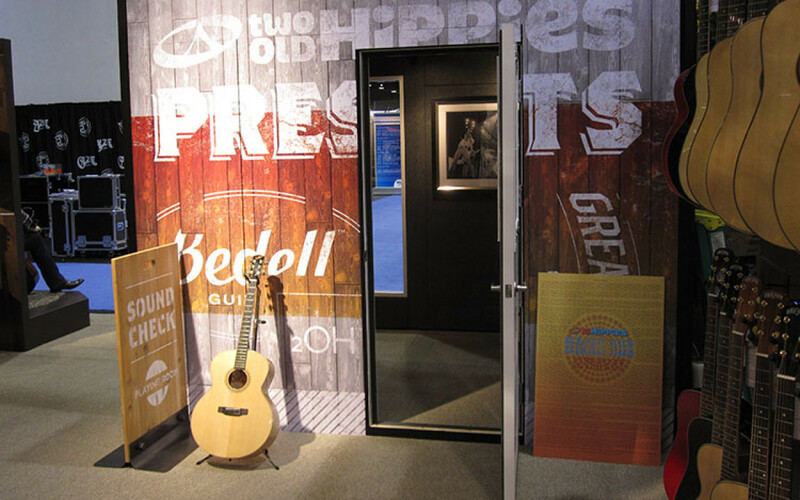 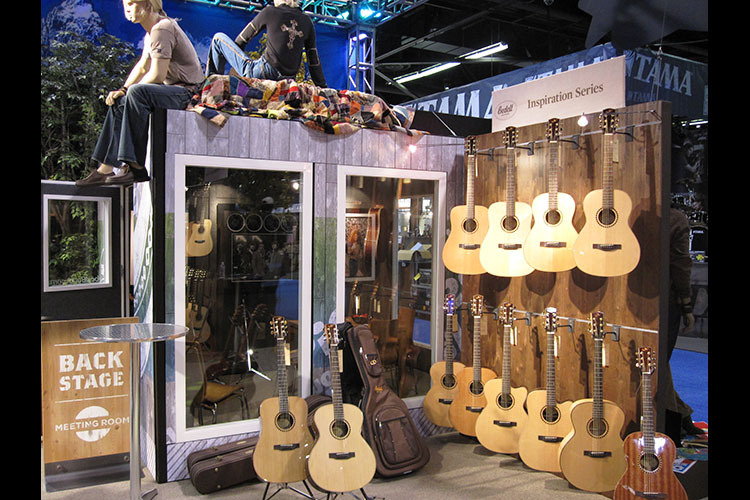 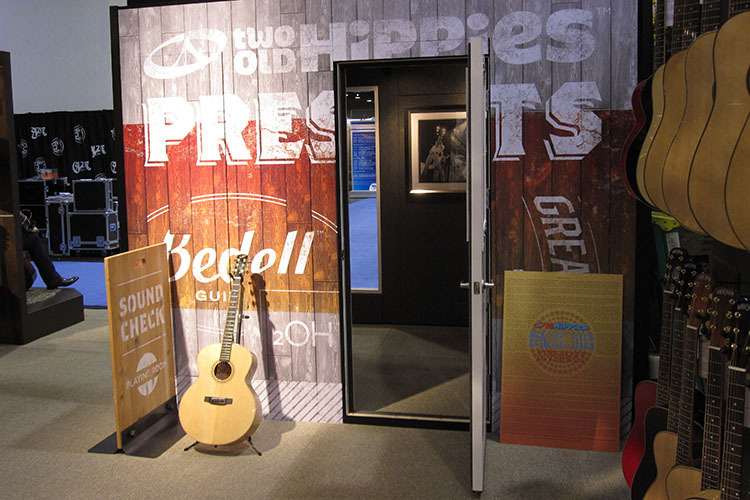 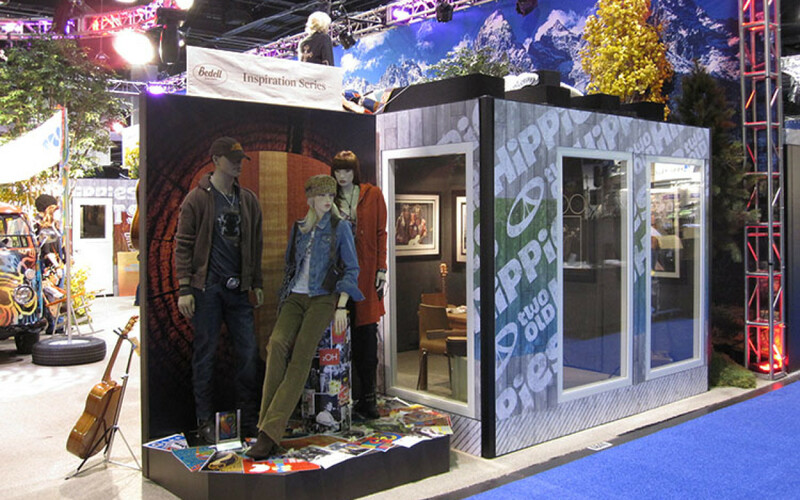 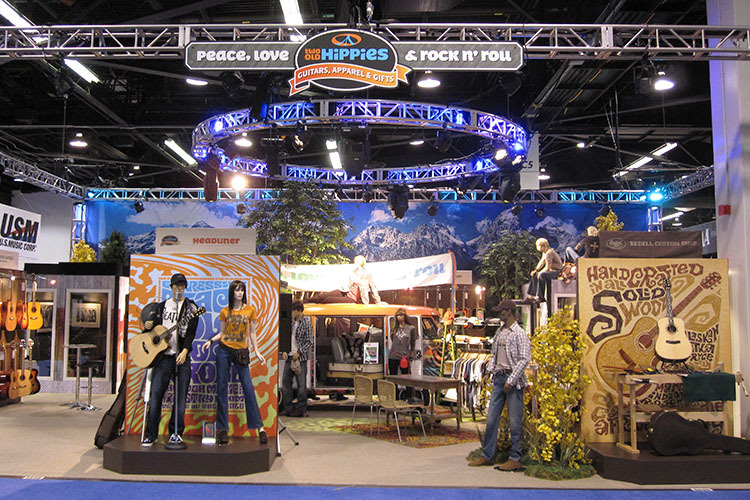 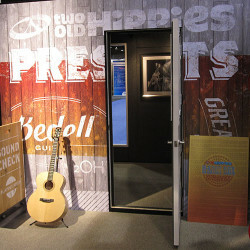 2 Old Hippies, a guitar manufacturer and lifestyle clothing seller needed a new exhibit for the NAMM show, they went all out in the design and execution. 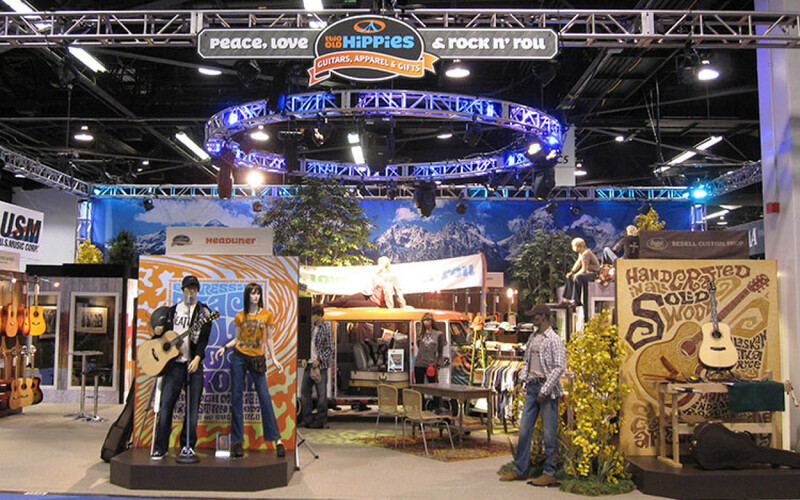 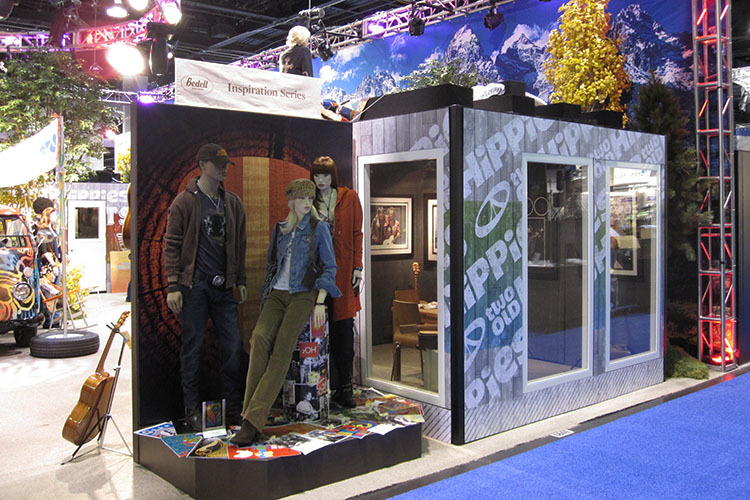 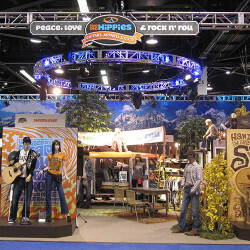 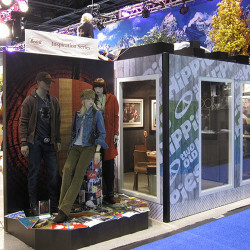 This 40' x 50' exhibit has plenty of eye-catching elements, from the 40’ mountain backdrop to the truss and lighting to the hippie-dressed mannequins. 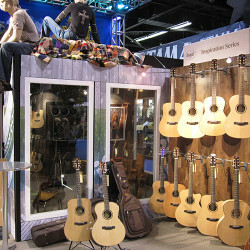 But the real hero of the exhibit were the guitars, all beautifully displayed throughout the footprint. 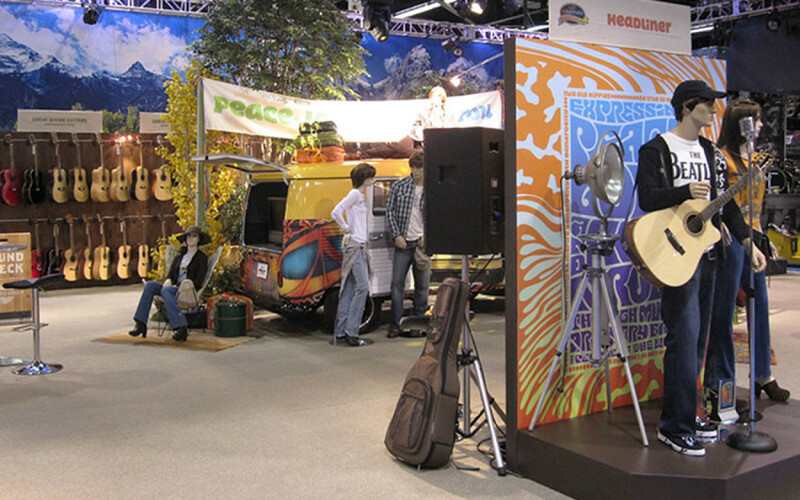 Also included were sound-proof demo rooms, lifestyle props and a VW Microbus, which was raffled off to one lucky attendee. 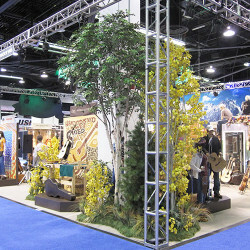 “The show was fabulous. 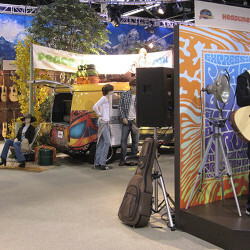 Thanks, you guys are so great to work with, looking forward to working with you again. 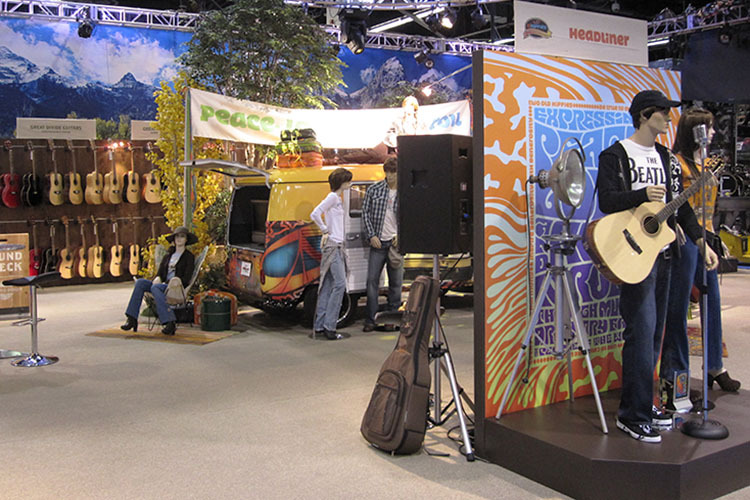 Thanks so much”.